Last week Invisible Children, a non-profit organization founded and head by film maker Jason Russell, released a 30 minute documentary video called “Kony 2012”. The documentary details a Ugandan warlord/rebel named Joseph Kony and the crimes he has committed against civilians and children. The documentary video went viral in a few days with over 37 million views. But how does the documentary do on getting it’s facts straight about him? For $30, The Action kit includes a t-shirt, bumper sticker, bracelet and become an "Advocate of Awesome"
Last week Invisible Children, a non-profit organization founded and head by film maker Jason Russell, released a 30 minute documentary video called “Kony 2012“. The documentary details a Ugandan warlord/rebel named Joseph Kony and the crimes he has committed against civilians and children. The documentary video went viral in a few days with over 37 million views. Kony is the leader of the Lord’s Resistance Army (LRA) a militant group that is an offshoot of an armed resistance in Northern Uganda called the Holy Spirit Movement. The Holy Spirit Movement was formed by Alice Auma in 1987 as a resistance army protected by the holy spirit. Kony splintered the LRA off from the Holy Spirit Movement when they differed on a few small differences. Alice did not want to kill prisoners of war, kill civilians or kidnap children. The LRA is accused of widespread human rights violations, including murder, abduction, mutilation, sexual enslavement of women and children and forcing children to participate in hostilities. There have also been reports of cannibalism. So it goes without saying that Kony is a pretty nasty character, right up to calling himself the spokesperson of god. But how does the documentary do on getting it’s facts straight about him? First off, Kony is NOT in Uganda. He has not been in Uganda since 2005. The documentary does state this at around 15 minutes into the video but it is easy to miss. As the LRA began to move into other countries, Jacob [one of the children filmed in Northern Uganda in 2003] and other Ugandans came to the US to speak on behalf of all people suffering because of Kony. Even though Uganda was relatively safe they felt compelled to tell the world that Kony was still out there and had to be stopped. To call the campaign a misrepresentation is an understatement. While it draws attention to the fact that Kony, indicted for war crimes by the International Criminal Court in 2005, is still on the loose, it’s portrayal of his alleged crimes in Northern Uganda are from a bygone era. At the height of the war between especially 1999 and 2004, large hordes of children took refuge on the streets of Gulu town to escape the horrors of abduction and brutal conscription to the ranks of the LRA. Today most of these children are semi-adults. Many are still on the streets unemployed. Gulu has the highest numbers of child prostitutes in Uganda. It also has one of the highest rates of HIV/AIDS and Hepatitis. Invisible Children’s accounts show it is a cash rich operation, which more than tripled its income to $9m (£5.68m) in 2011, mainly from personal donations. Of this, nearly 25% was spent on travel and film-making. Most of the money raised has been spent in the US. The accounts show $1.7m went on US employee salaries, $850,000 in film production costs, $244,000 in “professional services” – thought to be Washington lobbyists – and $1.07m in travel expenses. Nearly $400,000 was spent on offices in San Diego. So where does the money raised from selling the Kony 2012 Action Kit, (only $30, complete with t-shirt, bumper sticker and bracelet)? Jason Russell Announced Friday on the Today Show that they have sold over 500,000 Action Kits and signed up to be “Advocates of Awesome”. At $30 a piece, they made $15 Million alone in sales last week, which is pretty impressive. In one week they have almost doubled their operating budget from last year. So what are they going to give to Africa? According to Invisible Children’s Director of Ideology, Jedidiah Jenkins, they are not an aid organization. Only 37% of the budget goes to African Related Programs. The majority of the budget equally to film making and salaries. [T]he truth about Invisible Children is that we are not an aid organization, and we don’t intend to be. I think people think we’re over there delivering shoes or food. But we are an advocacy and awareness organization. Even more criticism has been leveled at Invisible Children’s operations. Many groups have accused them of secretly having an evangelical agenda. Several extremist, Right-Wing Christian organizations list Invisible Children in their IRS 990 forms including Caster Family Foundation, The Call, National Christian Foundation, ProVision Foundation, Christian Community Foundation, Inc. (also known as “Waterstone”) , Philip Anschutz, and the Malachi 3 Foundation. On November 11, 2011 Russell spoke at Liberty University‘s Convocation about evengelical outreach through Invisible Children. So does this mean that Invisible Children is in fact an evangelical organization disguised as a secular political organization? Not really. Jason Russell is an evangelical Christian, but that does not mean he is using his organization to for Christian outreach. They are funded by many Right Wing Christian organizations but that does not mean that they are pushing an evangelical agenda on Uganda. Invisible Children’s main goal is admittedly, movie making. So it remains unclear what their actual outreach programs in Uganda are doing. While they are funding schools, we do not more than that. We can only guess if there any motives beyond what they state in their mission statement, and that is not good Skepticism. Though who funds them give me great pause and would probably now give them money for that reason, I do have to worry about that because I have another reason to give to them. I think the main goal you should be focusing on when you decide whether or not to give money to an organization such as Invisible Children is to determine what your money will actually be used for.Will buying a “Kony 2012” Action Kit and becoming an “Advocate of Awesome” help Africa? 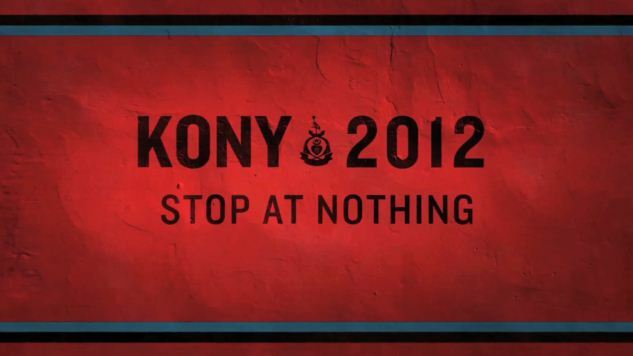 The “Kony 2012” video is an awareness campaign. Bringing awareness to Kony’s atrocities in Uganda. Wearing a bracelet or a t-shirt will not stop the LRA. It points more towards slacktivism than activism and more arrogant than worldly. You are better off saving your $30 dollars and phoning your Senator. Whether or not they are evangelical or whether or not they support the Ugandan Anti-Gay bill currently in their Parliament. The simple answer is that, I will not give money to Invisible Children because I do not want my money to go to movie making. There are many relief efforts out there. If you truly want to help Uganda, The American Institute of Philanthropy has a list of relief organizations along with their rating on them. Why Can’t Anyone Stop the LRA? Debate: Is Christianity Good For American Politics?